So, yeah... I'm back from the "academic camp" I mentioned (and freaked out about) in my last blog. I literally just got home an hour ago, and I've pretty much been sitting in the shower and eating (not at the same time - although I wish that were a possibility) since I got back. This is the update I promised - I believe my very words were "a VERY detailed camp saga" - but I'm so emotionally, physically, mentally and spiritually tired that I'm just going to squish five days into one blog. Here's to hoping this doesn't turn out horrifically. Okay, so the camp wasn't actually so bad. To be honest, I really prefer all those stupid "team building" exercises and hiking and orienteering to doing actual work, but I survived this camp, so hopefully I survive the project that's based on it. Basically we had to just walk around and test the pH of the river and collect species (which I genuinely managed to do. I caught bugs. This is a miraculous occasion) and interact with the community, so it wasn't as hectic as hiking for nine hours a day, but it wasn't exactly "fun." 1. The bus ride took eleven hours. Just picture eleven hours in a bus - which is an enclosed environment, just saying - with roughly fifty to sixty girls. Singing. Spraying deodorant at each other. Eating smelly food. Plus, it was boiling hot. Let's just say it was not pleasant. 2. There was more dust in the area than at my house - which is currently a building site. Okay, so that's understandable, seeing as we were in the middle of the bush and all, but that dust got everywhere. Even after showering, you still felt dirty, because it just clung to your everywhere... Even your soul. 3. We had to sleep in permanent tents. 4. My language has become... colourful. I'm quite a clumsy person - I struggle not to trip when walking on even ground - so being in the bush was... challenging. Let's just say my language was not so kosher after five days' worth of scratches, bruises, grazes, splinters, etc., and I will be needing to correct it before my parents send me to military school or something. 4. The spiders have scarred me. Let me just reiterate the fact that I don't deal well with creepy crawlies or insects. I am a teenage girl. 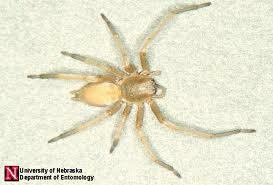 Do NOT expect me to be able to get a rain spider out of the bathroom in the middle of the night. But usually I can cope with the odd spider or beetle, so long as it's not right by my head or in a position where it could possibly eat my brain. But this... No. Just... no. Once upon a time there were seven girls that went on camp and decided to sleep in a tent together. On the second night, when five had gone to shower, two were left in the tent, chatting and laughing gaily as girls do. Suddenly - Oh no! - the first girl runs screaming out of the tent. The second follows just as quickly, not knowing why, but fully aware that there was something wrong. The two ran straight into the arms of their fellow classmate, who was famous for her fearlessness and renowned spider-catching skills. Once the spider was safely captured in a jar, they examined it with a mixture of caution, disgust and pride. In a moment of courage, the first girl grabbed the jar and stomped up to their teachers' chairs on the porch, and demanded they do something about the problem that had presented itself in the form of a large orange spider. It was soon clarified by one of the oh-so-helpful camp counsellors that the spider was a sac spider - a deadly spider which hunts at night, and is infamous for injecting humans with its poisonous venom in self defence when they unknowingly roll over onto the spider in their sleeping bags. The first girl relayed this message to the other six, and they did not sleep at all that night. A happy story, right? No. Not right. Let me repeat: A DEADLY SPIDER WHICH HUNTS AT NIGHT, AND IS INFAMOUS FOR INJECTING HUMANS WITH ITS POISONOUS VENOM IN SELF DEFENCE. DEADLY. HUNTS AT NIGHT. POISONOUS VENOM. Oh, and the best part: if we had - by any chance - been bitten, we'd have had to have been rushed to the nearest hospital, which was roughly 100km away. I would have died. I COULD HAVE DIED. So that was my camping experience. There's a lot more to it, and maybe I'll write another blog about it, but right now I'm going to go take another shower and wash away the feeling of spiders and dust. Too bad I won't be able to wash the experience from my soul. But I'm home now, and back to my laptop and WiFi and iPod and YouTube. Oh, yeah, and my family. I should probably go talk to them, seeing as I haven't seen them for five days and all. Thanks for reading! Feel free to comment below on what you thought, or to tell me about any of your past camping experiences! Ha h! It took me a while; I thought you meant in my blog, rather than in your comment, so I proofread mine several times before reading your comment again. Only then did I realise, and I still had to read through it a few times to see it! At least you noticed though! Nickelback Touring South Africa in December!